Park Ridge, NJ: Noyes Publications, 1993. 1st. Cloth. Collectible; Fine/Fine. A sharp copy of the 1993 1st edition. Tight and Near Fine (with small former owner name at front free endpaper) in a crisp, Near Fine dustjacket. Thick octavo, 623 pgs. London: Holtzapffel& Co. Decorative Cloth. Collectible; Very Good. The first 4 volumes of this sweeping, comprehensive work, complete in 6 volumes. All 4 volumes are tight, well-preserved and VG in their decorative, blindstamped cloth, with bright gilt-lettering along each of the spines. Small, tasteful former owner inscription at each of the front free endpapers, otherwise very solid and clean. Thick octavos, over 2,000 pgs. all told, plus publisher's ads, which include a number of beautiful steel engravings. The text also includes thousands of woodcuts, "drawn on the wood by the Author". Vol. I (2nd edition): Materials; Their Differences, Choice,and Preparation; Various Modesof Working Them Generally Without Cutting Tools; Vol. II (1875): The Principles of Construction, Action, and Application, of Cutting Tools Used by Hand; and Also of Machines Derived from the Hand Tools; Vol. 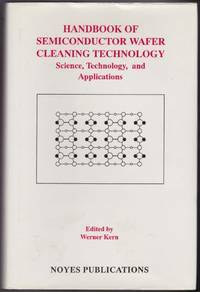 III (1864): Abrasive and Miscellaneous Processes, Which Cannot Be Accomplished with Cutting Tools; Vol. IV (1881): The Principles and Practice of Hand or Simple Turning. Jerusalem: Jerusalem Academic Press, 1970. 1st. Cloth. Collectible; Fine/Fine. A crisp, fresh copy of the 1970 1st edition. Clean and Near Fine in a bright, Near Fine dustjacket. Octavo, 215 pgs. Fascinating, early computer history. New York: Marcel Dekker, Inc. Cloth. Collectible; Fine/Fine. The 1st 2 volumes of the 3 volume set. 1967 and 1969 1st editions, respectively. Both octavo volumes in very nice condition: tight and Near Fine in bright, Near Fine dustjackets. Tasteful former owner bookplate at front pastedown of volume 1, otherwise clean as could be. New York: Plenum Press, 1973. 1st. Cloth. Collectible; Fine/Fine. A sharp copy of the 1973 1st edition. Near Fine in a bright, Near Fine dustjacket. Quarto, 424 pgs. London: Butterworths, 1963. 1st. Cloth. Collectible; Very Good/Very Good. The 1963 1st edition of Vol. 3: Miscellaneous Topics. Tight and VG in a bright, VG dustjacket, with very light chipping along the panel top-edges. Octavo, 201 pgs. Boston: Little, Borwn and Co, 1923. 1st. Cloth. Collectible; Very Good/Very Good. A very sharp copy of the 1923 1st edition. 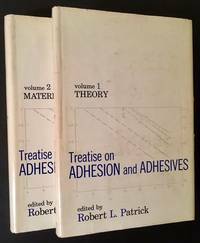 VG+ in a bright, price-intact, VG+ dustjacket, with very light chiopping at the spine crown. 12mo, 256 pgs.